The impending launch of Kenya’s Equity Bank’s mobile money service that is expected to rival M-Pesa has the market jittering over who will win the tussle. Equity Bank has already begun testing its products by having 200,000 customers sign up for its Equitel (a mobile virtual number operator) product to send and receive money. It expects five million thin SIM cards to be imported by the end of the year. Mobile Virtual Number Operators (MVNO) are telecommunication companies that can ride on other bigger network’s infrastructure and offer different services in the market. This year, Kenya licensed three MVNOs: Finserve Africa Limited, a subsidiary of Equity bank, Tangaza’s Mobile Pay Limited and Zioncell Kenya Limited, to bring diversity in the market. MVNOs’ major aim is to utilize the unused broad infrastructure and resources of telecom companies. Now pressure is being felt by the league leader in mobile money transfer in Kenya, M-Pesa from Safaricom. The telecom company is aiming to improve its money services and partner with more banks and merchant outlets before Equity can hit the ground running. Safaricom is planning to have 600 tier one and tier two Supermarkets using its merchant checkout system. Such positive market competition only makes the consumers relish other benefits that could accrue apart from low fees in mobile money, text and voice services. The growth of the licensed MVNOs in Kenya still have a long way to go though to shape the current market, according to Russell Southwood a telecom and broadcast analyst from Balancing Act. All of the licensed MVNOs will ride on Airtel Kenya’s infrastructure with more partnerships still on the way. “In the Kenyan market, Safaricom has a de facto monopoly, controlling 70-80% of the market by subscribers and/or revenues. This has been both a terrific competitive success but has also been consistently protected by one of its main shareholders, the Kenyan government,” says Southwood. But there are options and niche markets that MVNO’s can launch into. Here are three opportunity areas. 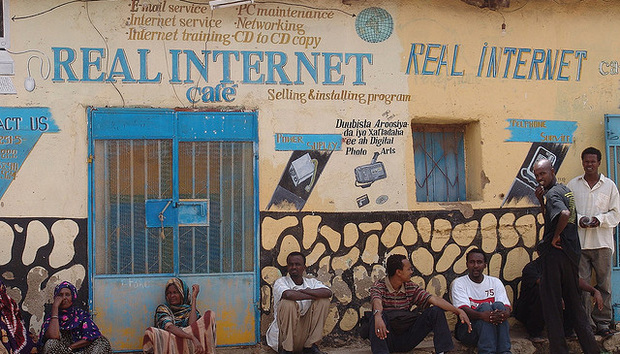 One way that MVNO’s can engage the unreached consumers, mostly in rural areas, is by providing broadband through phones or computer modems to communities that have no internet access. Currently in Kenya 99% of the internet reach is achieved through the mobile phone. This means that many people have had their first online experience through their mobile devices and not through the conventional desktop. Southwood agrees that data could be one way that MVNO’s provide needed service to the people. “In five to ten years everything (inclusive of voice) will be data. So there will be no mobile companies as we currently know them, only data companies. Currently smartphones and feature phones with internet access are being used by increasingly large numbers of customers in key markets like Kenya,” explains Southwood. MVNOs can offer the normal 3G data access to their customers but also look at targeting other more basic phones by providing a non-data connection to the internet, as demonstrated by such service as ForgetMeNot Africa. This is another avenue through which MVNO’s can engage the current African market and make a difference. Other than trying to target the individual users, MVNO’s can concentrate on implementing company and business communication to their consumers (B2C) including the use of bulk SMS services at a cheaper price. Such services, that are already being witnessed, would include SMS invoices, and corporate messages at a lower price than that of the current mobile telecommunications offer. Safaricom’s current price is Kshs 75,000 (US$900) plus a monthly fee of Kshs 10,000 (US$130) and a capacity to deliver a minimum 40 SMS/second. “Obviously SMS based mobile services will not disappear completely but we have probably reached ‘peak SMS’ and it will decline over ten years. What is an SMS? An email before it grew up,” Southwood adds. Tomi Ahonen, a technology consultant, believes in the future of SMS amid the drawbacks by over the top (OTT) services such as Viber and WhatsApp. During the last Mobile East Africa conference in Nairobi, in February this year, Ahonen spoke about the future of text messaging and explained that it will be an important tool for various industries in Africa, even beyond the smartphone craze. In his blog, Ahonen suggests that the growth of SMS will not been dulled by OTT services. “So the OTT revolution has really taken off led by WhatsApp. But still the total user base is modest. OTT services across all OTT types have only 1.4 billion users. That compares with 5.8 Billion users of SMS and 3.3 Billion users of MMS,” Ahonen suggests. Being that the majority of users in Africa use dumb and feature phones, SMS becomes a crucial communication avenue that MVNOs can still utilize. Cracking online payments in Africa is a huge challenge, being that the continent has a small population of banked people, with access to international payment platforms like Visa and MasterCard. The biggest revolution for the continent has been the mobile money, where the unbanked have found financial services. But still, online payments become a bit tricky as there is no big payment platform especially made for the continent. New MVNOs could take advantage of this space and ensure that goods and services being offered online can be paid through their service. “There are two barriers to an effective mobile ecosystem: the mobile operator's ‘control’ of the customer and payment systems. The internet frees the better off 40% of the population and most of the rest will follow,” Southwood says. Such services would allow mobile phone numbers users to make online payments that cut across the major platforms, such as credit card requirements, and get SMS authorization and confirmation. This means via his phone, the MVNO will be the connection between the buyer and the internet outlet. Currently services such as PesaPal open users to the idea of shopping online using their phone, but the service can be made smoother. At the moment there is a back and forth from the phone to the online outlet to fulfil payment. Overall, more diversity will ensure that users get the best service from all the operators. But the biggest hurdle will still remain having users changing SIMs every time they want a certain service. For Equitel, the thin SIM technology offers an easy entry into the market where users can lay the thin SIM over their normal card. This removes the need for having to change SIM cards. Other MVNO’s will have to figure a way to get into customers’ phones in order to bite a sizeable chunk of the market. Consequently the discussion on a universal SIM will have to be had – although the economy still might be far from that discussion. Today, as more players get into the market, the need to give voice, text and data services to communities that still have no access to mobile phone networks has increased ten-fold. But this will be what it takes to have more people included in the mobile revolution. « How Are Big SA Cities Preparing for Vision 2030?